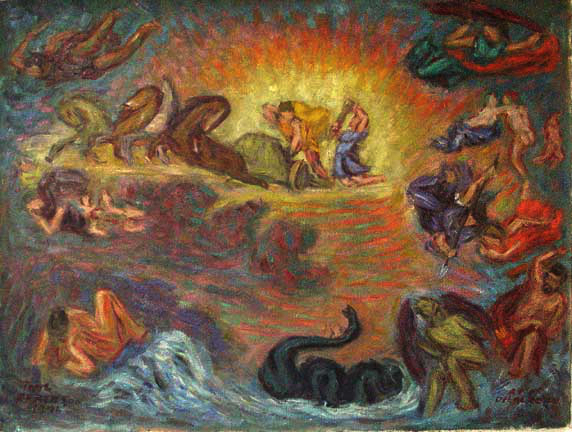 "Apollo Slaying the Serpent Python" (after Delacroix)"
If I had to pick one painter for my desert island it would be Eugene Delacroix. He was probably the biggest influence in my learning composition. This Apollo Ceiling is one my favorites. I like the way I captured Apollo shooting his bow at Python, who is looking at him, the vibrancy of the horses, and the general color and composition and arrangement of the various parts.